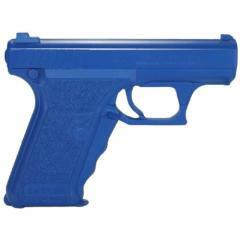 Firearm simulator, also known as "BLUE GUNS", urethane replica firearm for Police and military training. Ring's Manufacturing Blue Guns are hand-crafted detailed reproductions. Blue Guns are molded to the exact dimensions and detail of the weapons they represent.